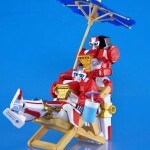 At long last TokuNation is fired up to present this latest gallery! 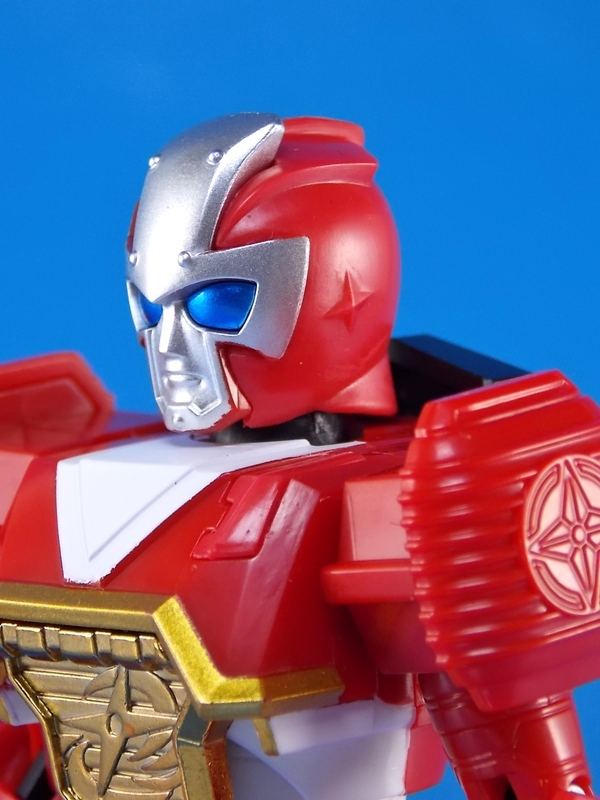 A recent Bandai Premium release from Shuriken Sentai Ninninger, today we take an extensive look at the Super Sentai Artisan Chogokin Shinobimaru! 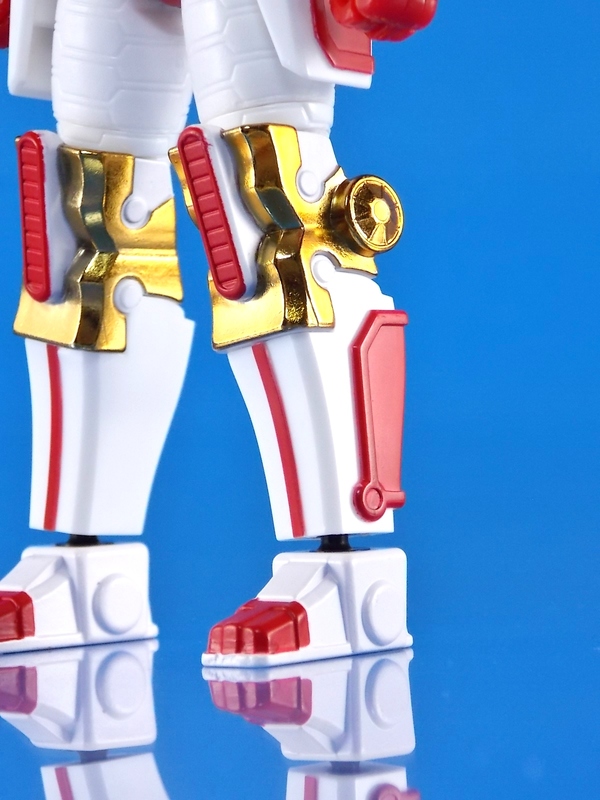 Chogokin Shinobimaru is Bandai Premium’s first entirely new figure for Ninninger, soon to be followed up by Rodeomaru & Chouzetsu Akaninger. 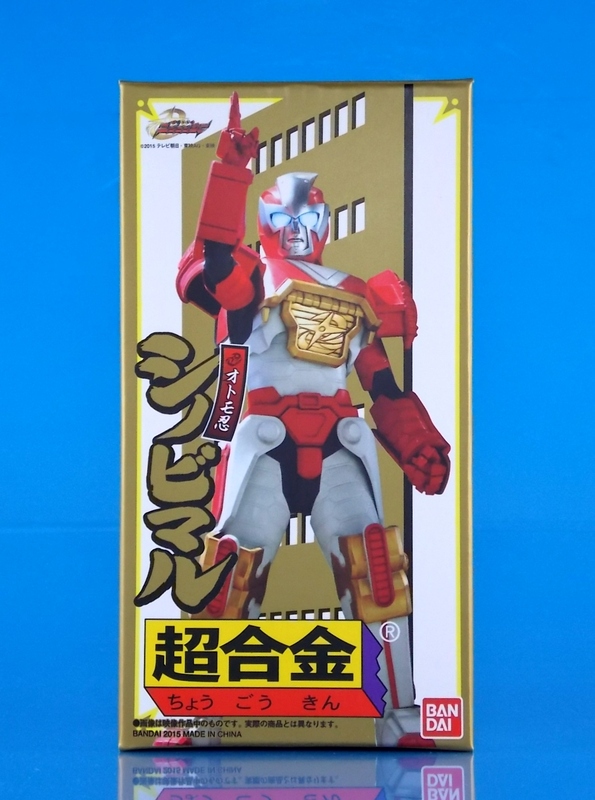 More than a simple DX with metal parts like last years’ Chogokin ToQ Oh, Shinobimaru is an entirely new super articulated diecast infused action figure meant to replace the DX that came with Shurikenjin. 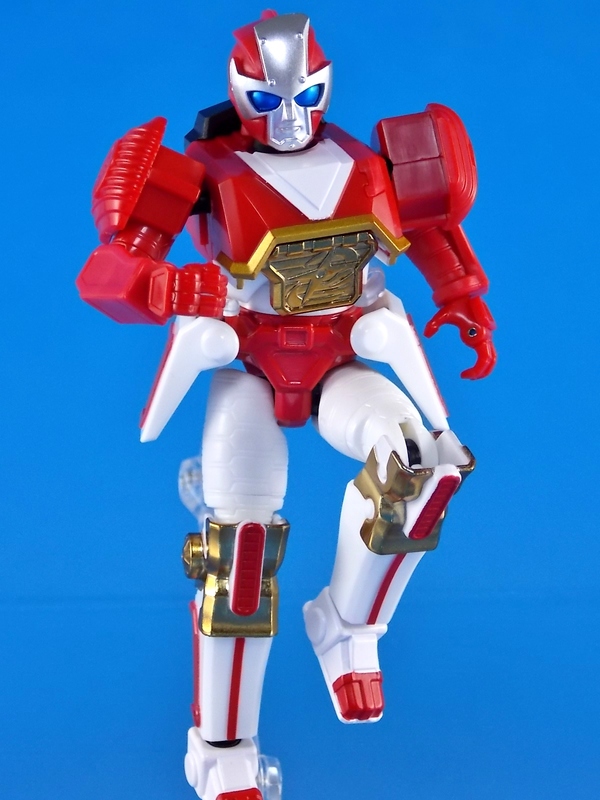 While it may be lacking a bit in the accessories department (a small shoulder mounted Akaninger) it more than makes up for this with excellent articulation, strong QC, and just the perfect amount of metal to give this little guy some heft. 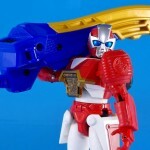 Make no mistake when we say extensive either, we’ve put together 70 images of Super Sentai Artisan Chogokin Shinobimaru for your viewing pleasure! 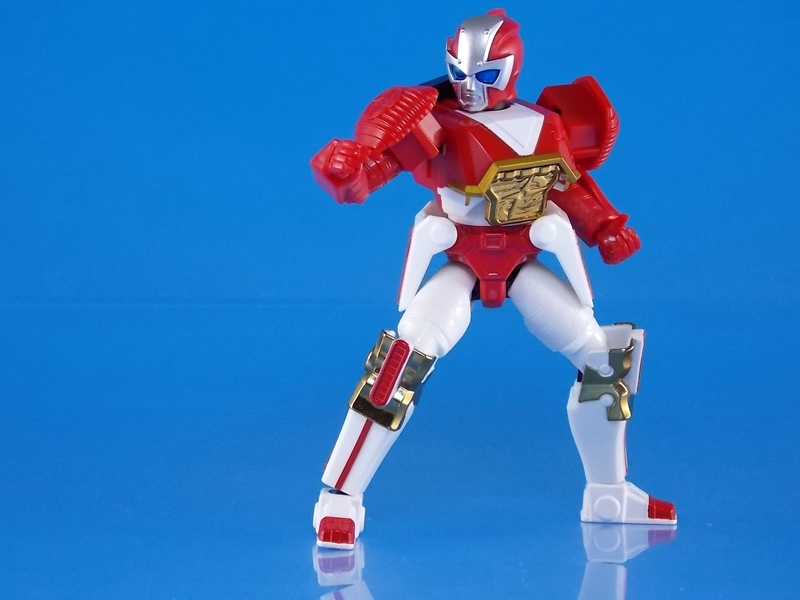 We’ve even included a comparison between Shinobimaru and the classic release Soul of Chogokin Battle Fever Robo, the predecessor to all modern Sentai Chogokins. 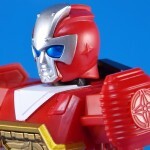 Attached to this post are just a small selection of the images, to view them all click “Discuss on the TokuNation Forums” at the bottom of this post. 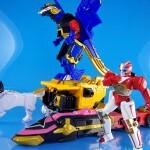 For the 2nd year in a row Premium Bandai has rolled out some high end releases to tie into the current ongoing sentai. 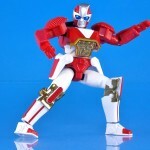 Last year saw the inaugural releases of this premium sub line with the Chogokin ToQ Oh & Cryner Robo. 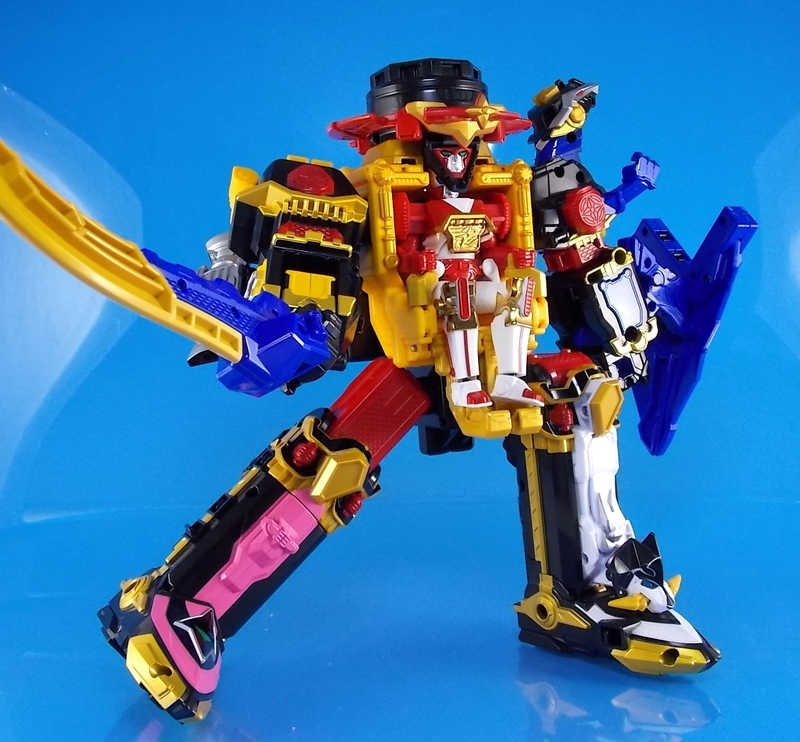 This year for Shuriken Sentai Ninninger Bandai is thinking a bit smaller and taking aim at the centerpiece of Shurikenjin with the Super Sentai Artisan Chogokin Shinobimaru! 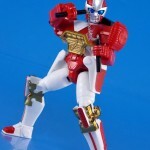 A high end articulated replacement for his DX counterpart with a touch of diecast to give it that premium feel. Seeing as the accessories are minimal, as you'll see bellow. We're mostly just going to talk about Shinobimaru himself. 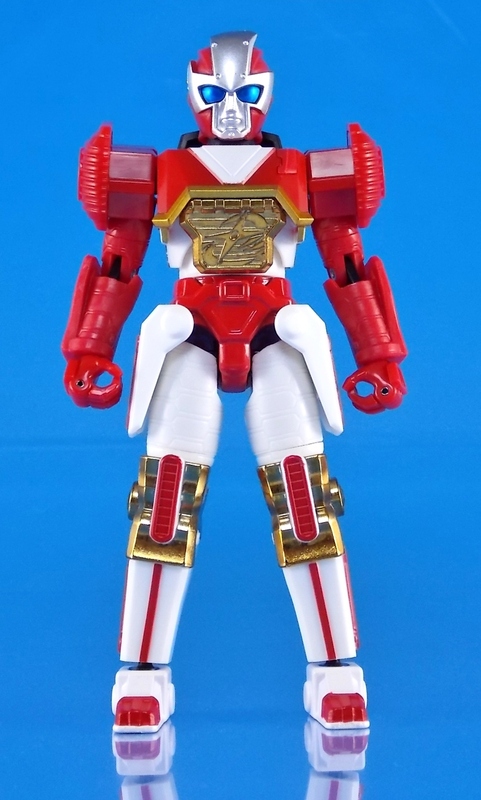 As a Super Sentai Artisan release one can expect a degree of quality in this figure that simply isn't present in the main retail toyline. 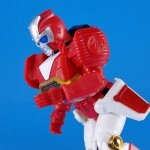 And this figure is a shining example of what the Artisan premium line should be. 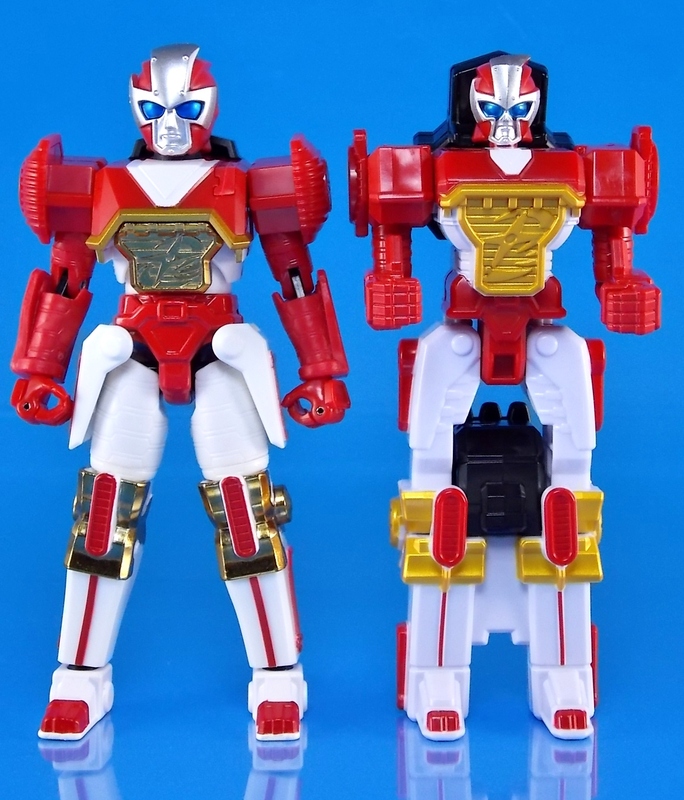 It's not the Chogokin ToQ Oh that came out last year which was merely the DX with new metal or "gokin" parts, but is more akin to the Cryner Robo. Something wholly original with serious merits. BU there are drawbacks as well. Here's the breakdown. On the positive side of things Artisan Shinobimaru looks incredible. Just screen accurate to hell and back. 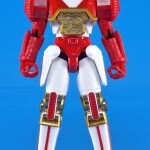 As close a toy can ever be to being accurate to the show suit. 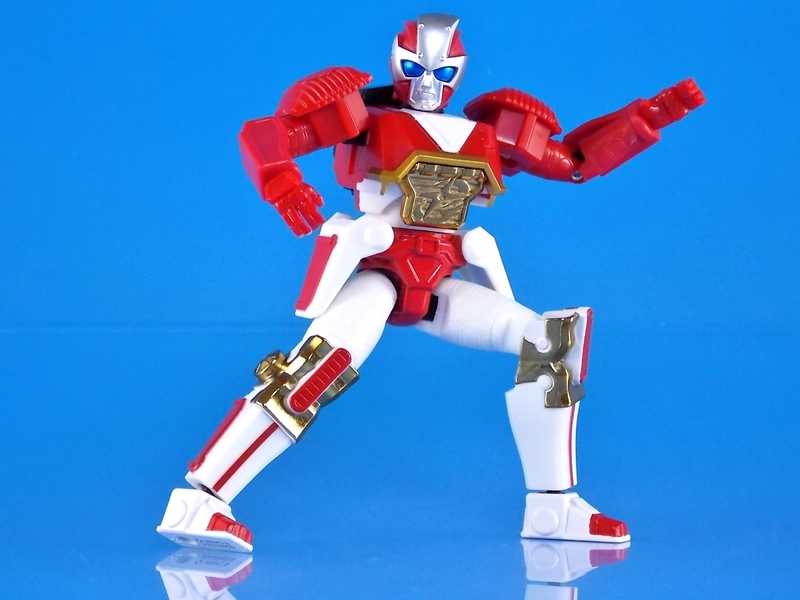 While the DX made compromises in design to work as both a robot that could sit on Shurikenjin's throne as well as transform into an arm, Artisan Shinobimaru opts for total robot mode accuracy. 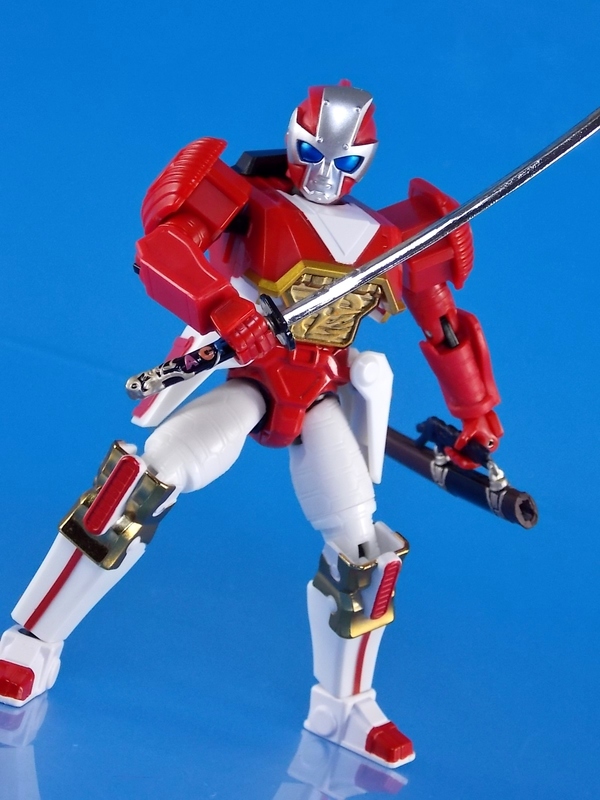 So while it can't transform into an arm for Shurikenjin, it's the best looking representation of Shinobimaru we will ever likely get. 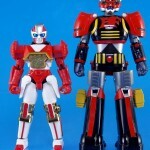 This little guy also stands about the same height as his DX counterpart so they really nailed the scale here. 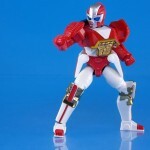 But of course this figure is far more posable & superior, it even features moveable hip panels for plenty of free leg movement. 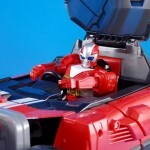 You can also spot a bit of the diecast content just by looking at him. 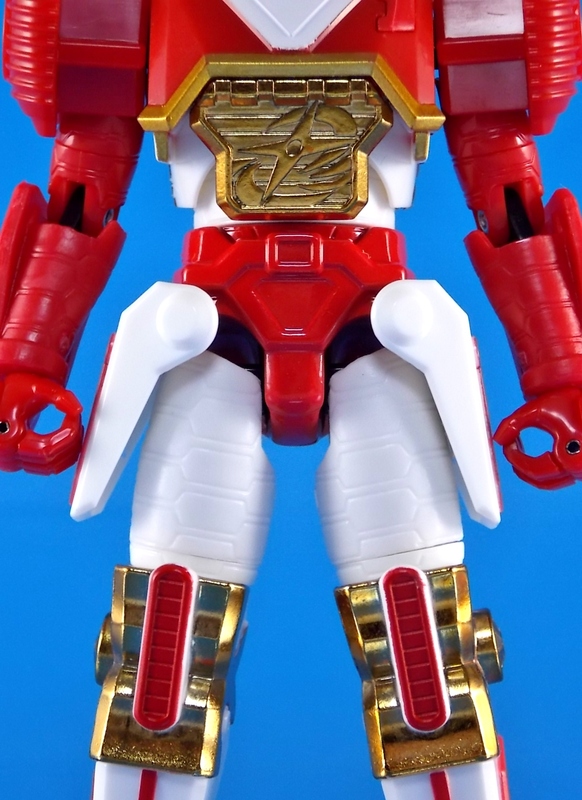 The primary gokin parts are his gold knees and his Ninninger chest emblem. An emblem which I must point out can angle outward and away from the torso to give the waist a wider range of movement. The rest of the metal content is in his feet & waist. 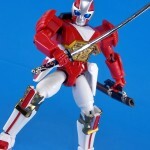 While you might scoff at that, it's actually the perfection composition of metal with plastic. 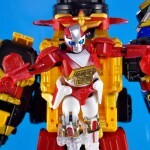 It gives him a nice weight you don't expect for a this size, as well as unmatched stability. 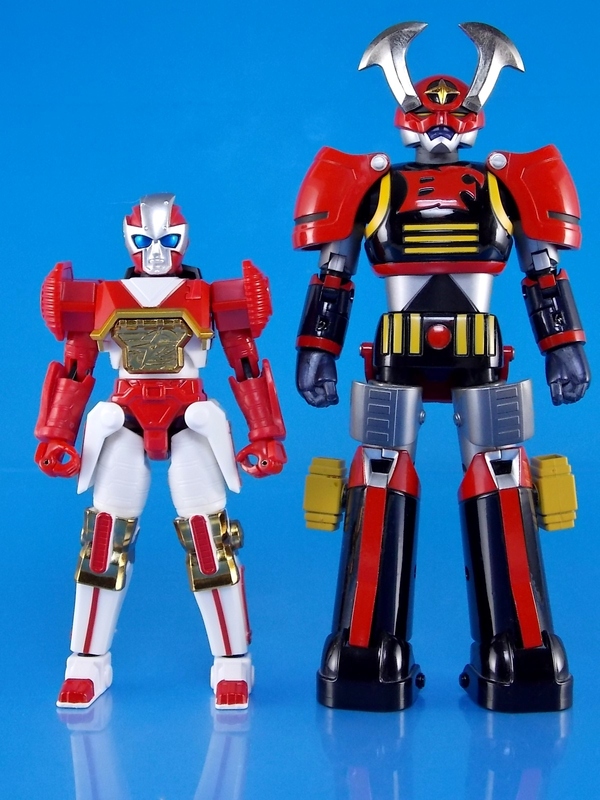 Back on the topic of size, you'll see again that Shinobimaru's about the same height as the DX equivalent, though both are dwarfed by the vinyl. 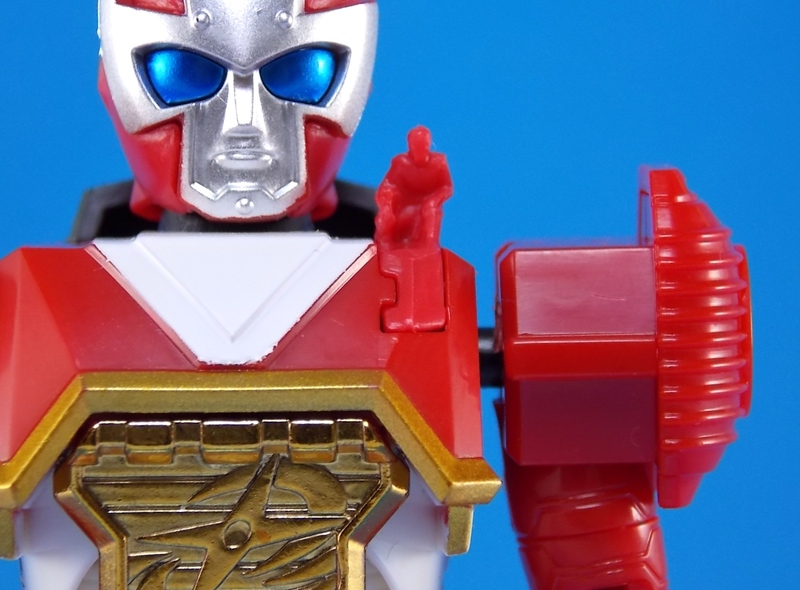 In more relatable terms I've compared Artisan Shinobimaru to the first ever Chogokin Sentai premium style release from 2006, the Soul of Chogokin Battle Fever Robo! 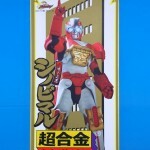 Long before Artisan & even SRC releases was their predecessor, Battle Fever Robo. 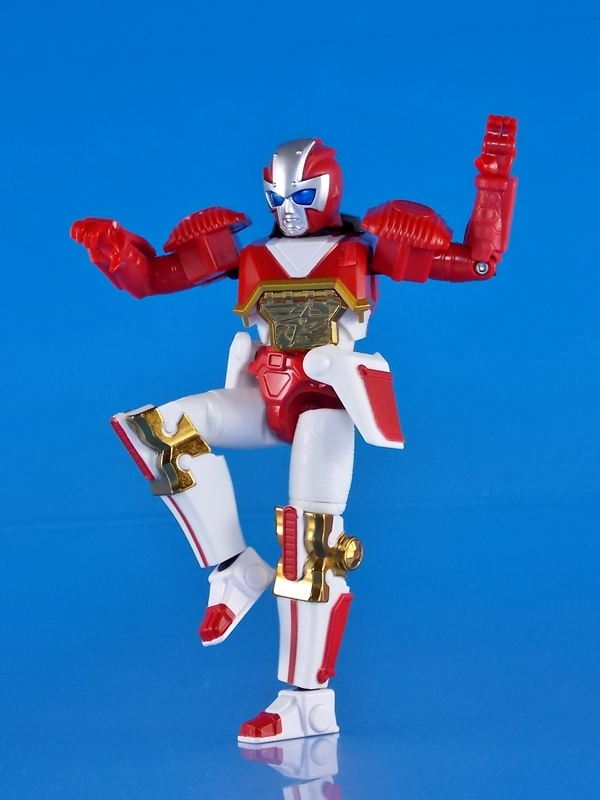 Artisan Shinobimaru doesn't have the same kind of metal content as BF Robo, but wonderfully enough his posable hands allow him to use the variety of accessories that were included with BF Robo. Which are themed just perfectly for a ninja robot. 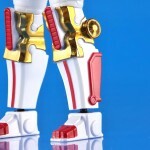 Shinobimaru's hands have a simple pin joint and two sets of fingers that allow him to have a nice tight grip. 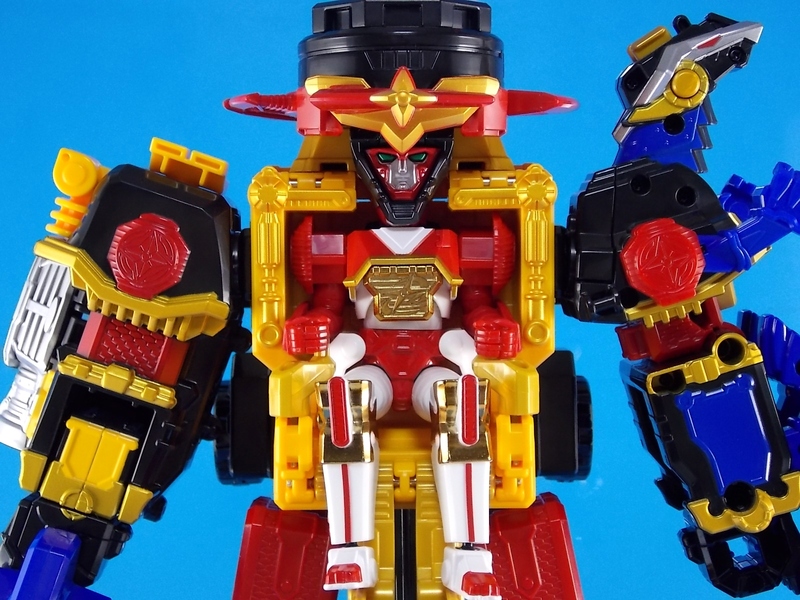 And while this is a by product of how he's meant to combine with Shurikenjin, Shinobimaru's shoulders can click out away from his body giving him additional upward and outward movement! 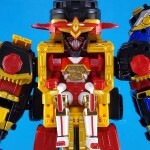 To combine him with Shurikenjin simply click the shoulders to their locked "in" position and fold out the pair of tabs on his backpack which will click snugly into Shurikenjin's throne. Now on the downside Shinobimaru isn't perfect. 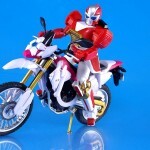 For his retail price, 5378 yen, many people may find they've overpaid for a figure of this size. I find myself enjoying it quite a bit, but that's my personal opinion. Naysayers will have some valid concerns though. 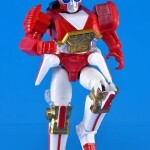 While the figure has great upper body movement and the aforementioned hip armor, his legs leave much to be desired. 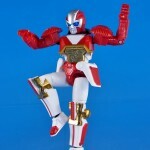 Fans of the series will undoubtedly notice their inability to pose him in his "sad Shinobimaru" pose. The hips can't come up far enough to allow him to sit that way. This is a minor complaint but I can see it being an important one. On top of this the head isn't ideal. It appears to mounted on a post to allow it to rotate around, and perhaps has a pin through the neck which allows it to tilt very slightly forward. But that's it. So sadly his head just can't do much or get very dynamic like most of the body. It's limited, more or less, to side to side movement. 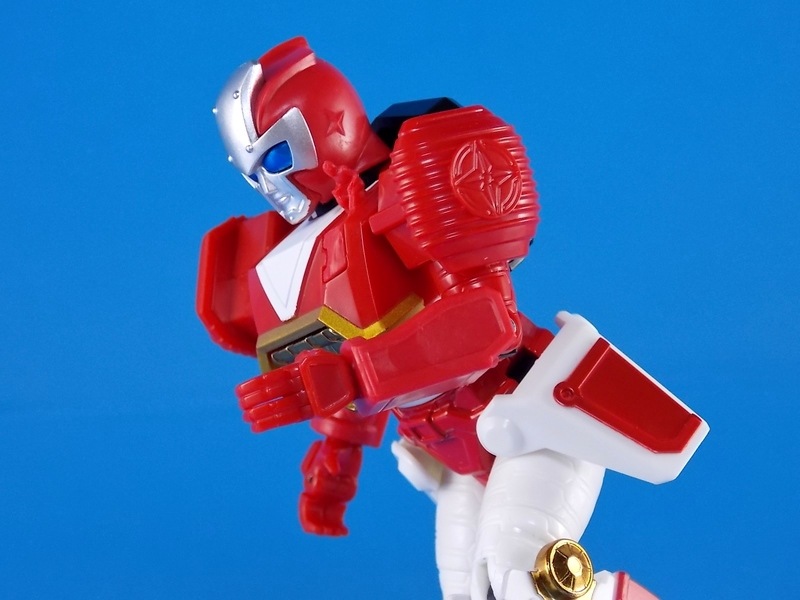 Likewise while forward mobility for the torso is great because of the movable chest plate, you can't really arch his back all that much. Just one very tiny one. 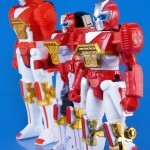 A small Akaninger figure. 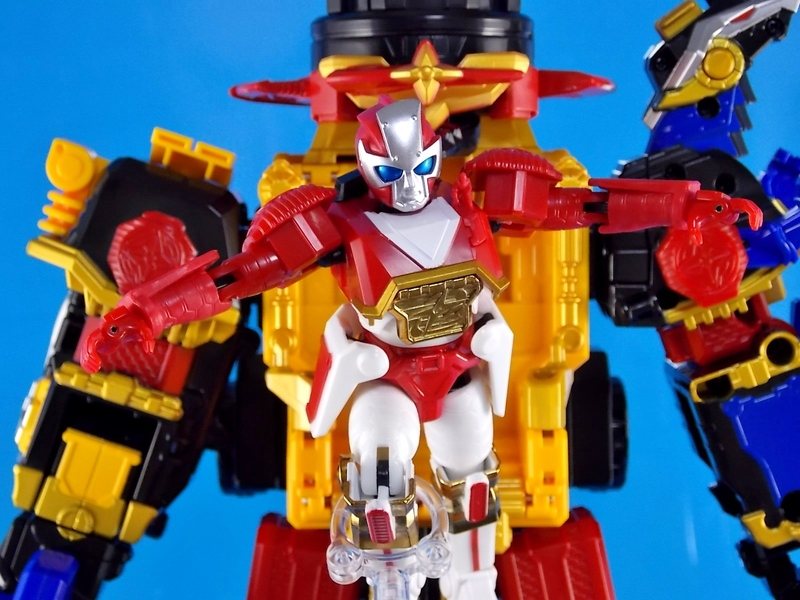 This is meant to replicate the way in which Takaharu rides Shinobimaru into battle. 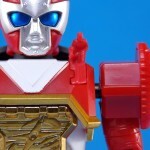 To use it you just need to slide out the rectangular piece on the figures' left shoulder, then plug this in. At it's size the sculpt is great for this part and it gives the figure a good sense of scale, but otherwise it doesn't do much. There isn't really anything else that could have been included here I suppose. 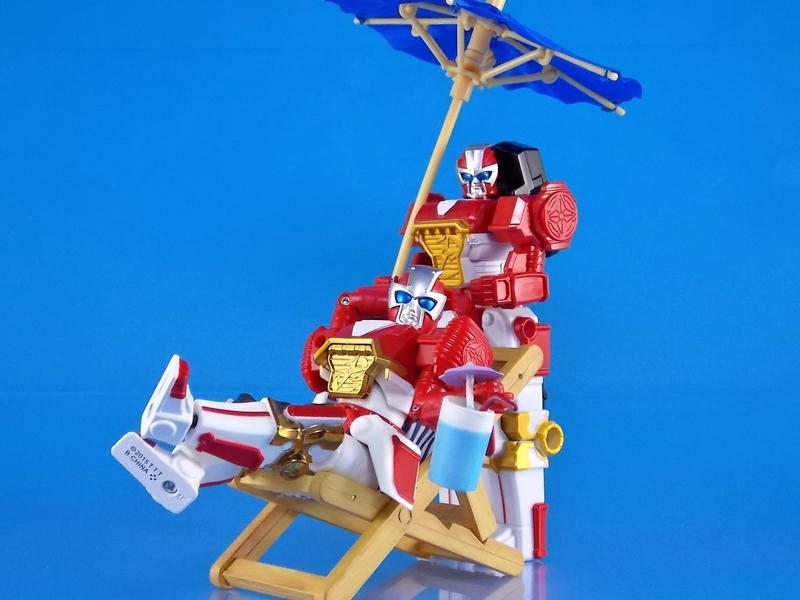 Alternate parts to allow him to form the arm mode are a pipedream so there's nothing that really comes to mind here. 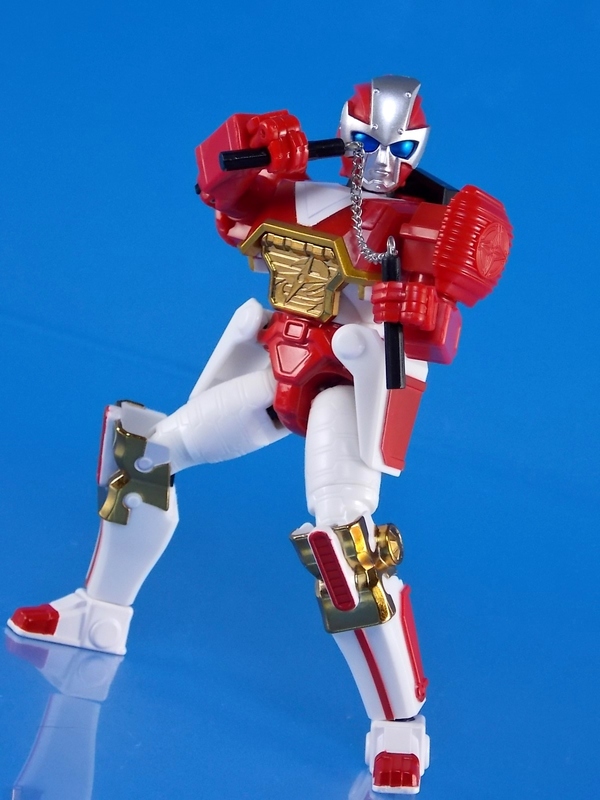 Far more so than ToQger's initial premium outing, I'm very impressed with Ninningers. 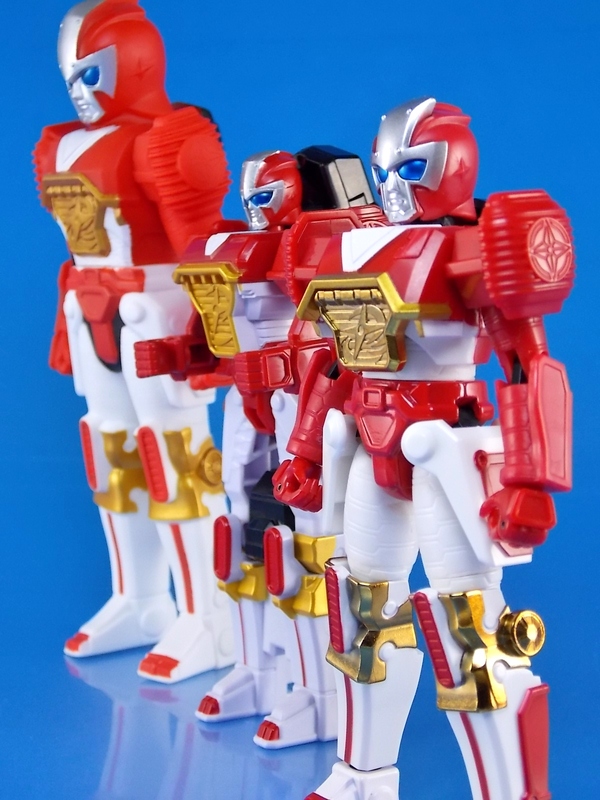 While the show and retail toyline leave much to be desired, Super Sentai Artisan Shinobimaru is a pleasant surprise. 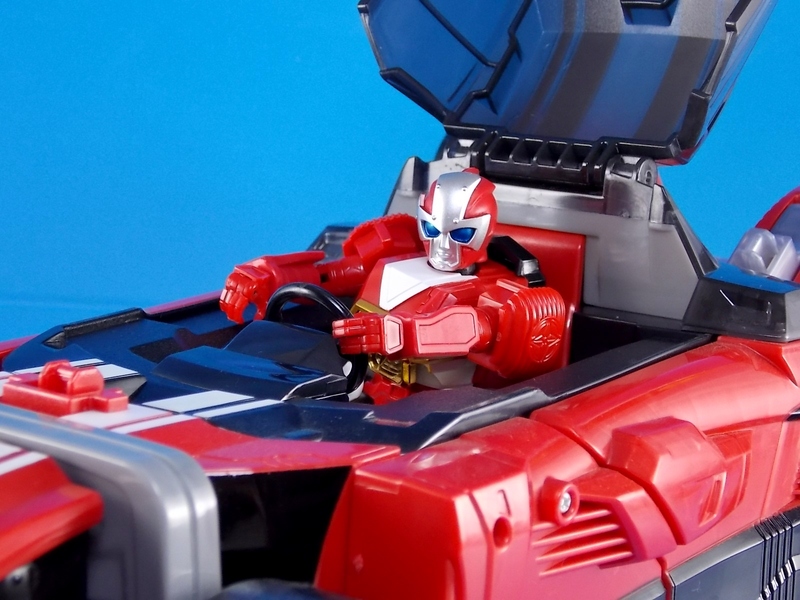 I wish this concept of premium releases alongside retail releases had been introduced so much earlier in Super Sentai since this is the direction we're going in. 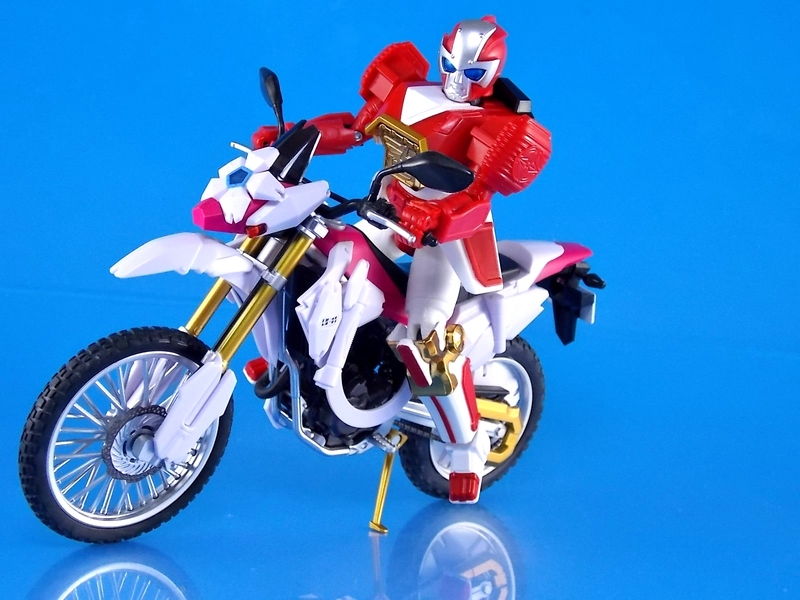 This figure is the start of something new and awesome and now I really can't wait for that Rodeomaru & Chouzetsu Akaninger set to be released! 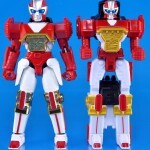 - comparisons to Soul of Chogokin Battle Fever Robo! It'll be nice to have that for my Shurikenjin, I think it fits very well. 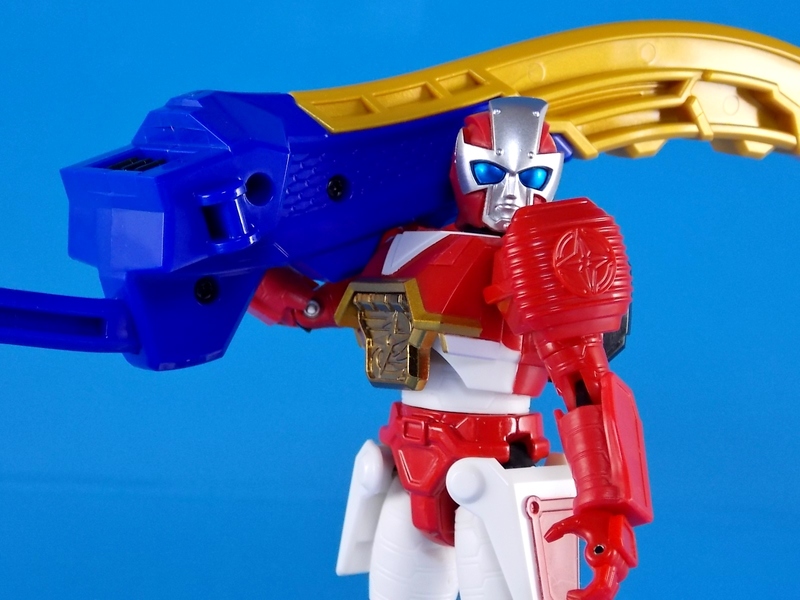 Aw, no pics with the Shinobimaru arm? 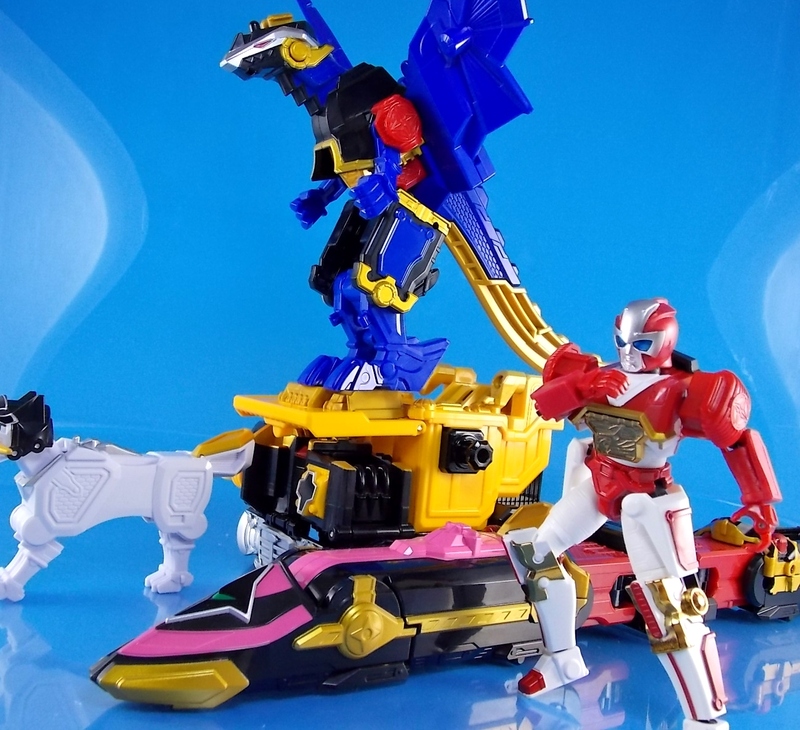 Also, Ninninger looks so tempting. Where has this bananas combination been for the last few years? There's no comparison between the two. This one can't become an arm so I didn't see much point in a comparison image. 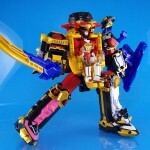 Likewise I didn't see much point in putting this one on the throne and using the DX as an arms simultaneously. I beg to differ, I think it would look spiffy. Kind of paradoxical is a sense. I really want this. Although it wouldn't be very useful for a combination where he doesn't sit in the throne, I've always been a huge fan of Shinobimaru.